Posted on May 18, 2015 . I can’t believe it’s been such a long time since I’ve done a face of the day or any other makeup look. Not to mention a daily makeup routine! So I thought I would try to make it a regular thing and do my favourite everyday looks at least every month. 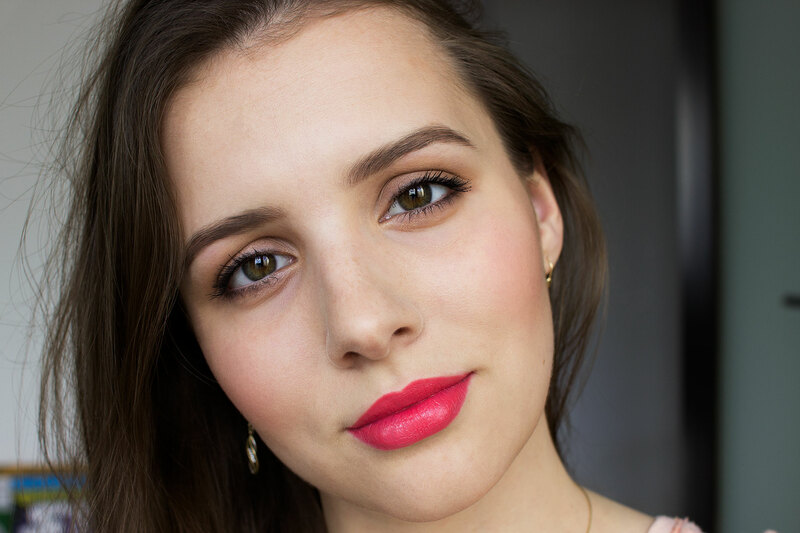 Today, I’m going to share with you my recent go to makeup which is all about glowy skin and bright summery lipstick. BASE: When it comes to coverage I always prefer the low to medium. However, during spring and summer, I love to sheer it out even more with a pearlescent primer or a highlighter. In this case I mixed Jouer Matte Moisture Tint (about 2 parts) + MAC Strobe Cream (1 part). What I get is a radiant skin which won’t get oily anytime soon. To cover my horrible dark circles I first applied Bobbi Brown Corrector in the shade ‘Light Bisque’ and then buffed in the Maybelline Eye Eraser concealer. For spot concealing I used my trusty MAC Pro Conceal and Correct Palette, specifically a mix of NC15 and NC20. CHEEKS: For a bit of bronzing and contouring in one I applied the Clinique Chubby Stick Sculpting Contour under the cheekbones and near my hairline. After that I used the Max Factor Pastell/Creme Puff blush in ‘Lovely Pink’ on the apples of my cheeks. EYES: For brows I used a MAC ‘Mystery’ eyeshadow to fill them in and Benefit Gimme Brow to set them in place and give them definition. On day to day basis I always use a cream eyeshadow. I just can’t be bothered to first apply a primer and then powder shadows. Recently I’ve been loving Mac Paint Pot in ‘Groundwork’ which gives the most natural wash of colour. To define the lash lines I used a shimmery taupe Sephora Waterproof Eye Pencil in ‘Flirting Game’ and the Maybelline Colossal Volume Waterproof mascara. LIPS: The main focus of the look was apparently a bright lipstick. 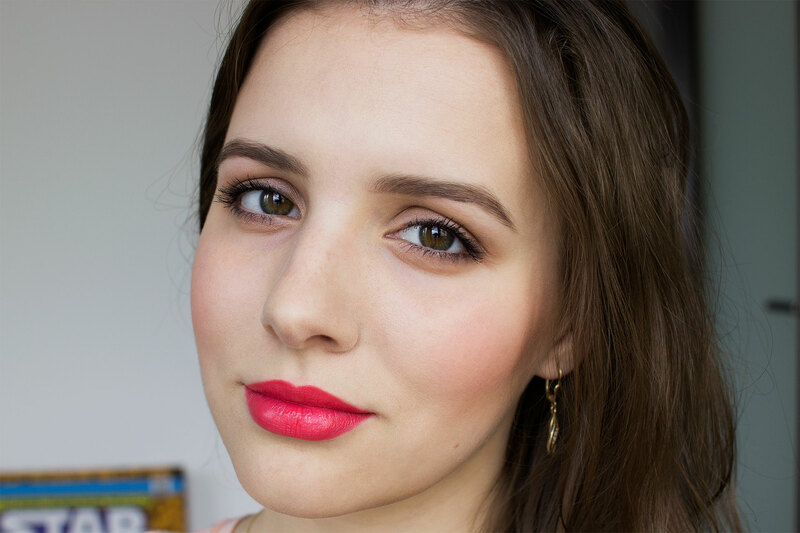 Today I used a vivid coral-pink MAC ‘Impassioned’ lipstick with the MAC ‘Chic Trick’ lip pencil. Do you want to see more of these daily makeup looks? How does your everyday makeup routine look like? you have very beautiful face dear! This is such a beautiful look! I’ve been loving a glowy skin and bright lips makeup look recently, I even posted a similar look on my blog a few days ago! Thank you Rachel. I’ve checked it out, looks so similar and lovely! Oh wow – such a gorgeous look! I love how natural, yet flawless your skin looks, and that lip colour is stunning! Awww thank you Tasha. The lipstick looks almost neon in person! And I only do pin point concealing cause I love when you can still see the skin texture and freckles. 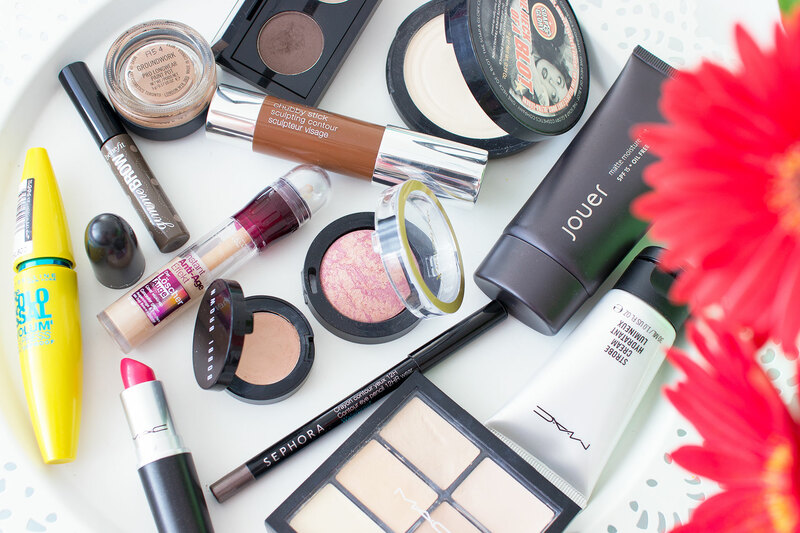 You look so pretty, looks like a great makeup routine for the summer heat.